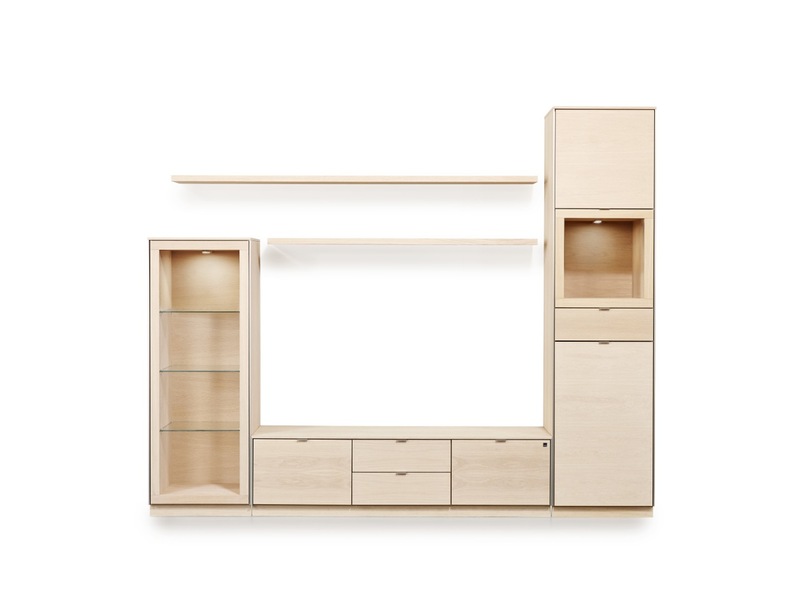 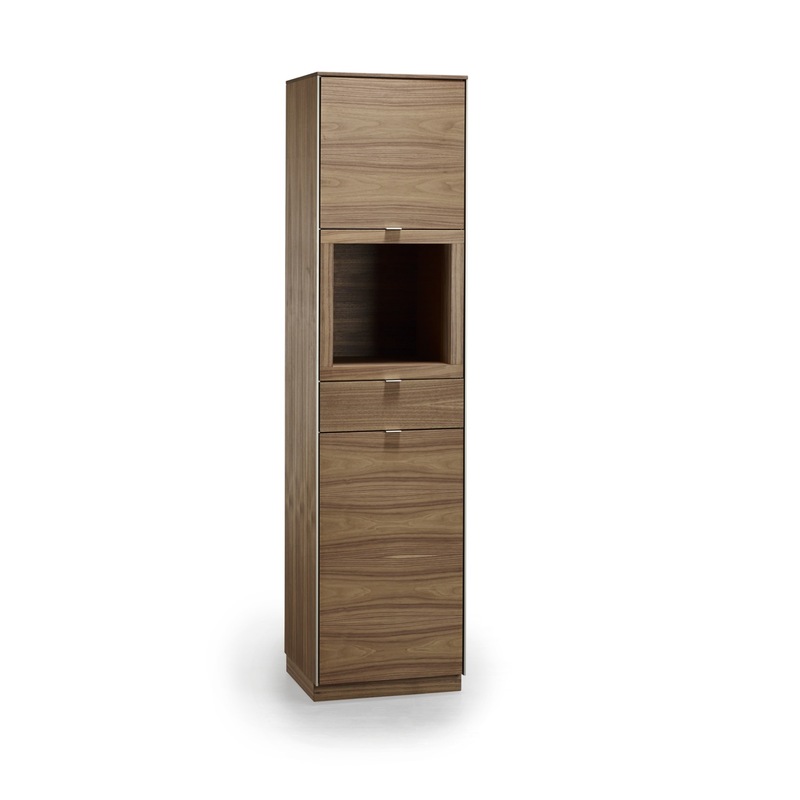 The #914 is a new display cabinet from Skovby and part of a new Skovby storage furniture line. 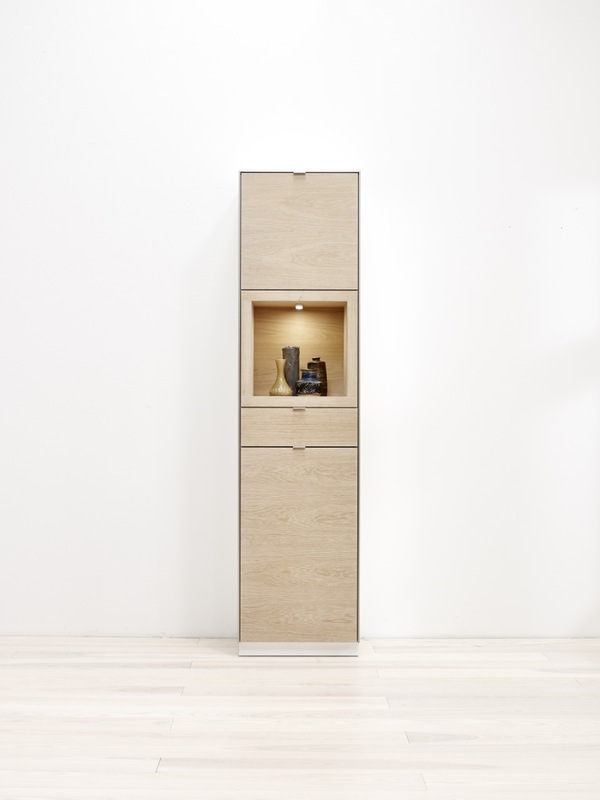 Skovby #914 display cabinet has three wooden shelves behind two doors, one open compartment, one drawer and a LED light. 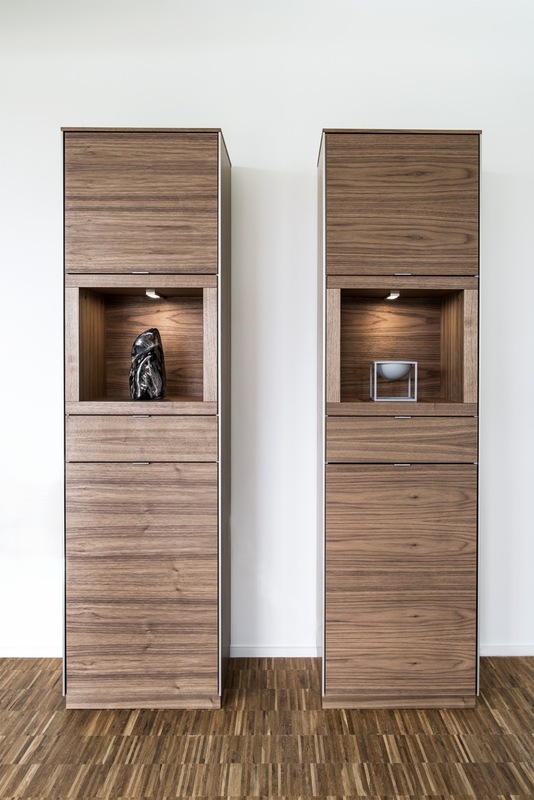 The 900 line is available in various wood sorts and finishes, and white lacquer combined with doors and drawer fronts in one of the wood finish options.